Above: This is the best way to see a cranky mountain lion…no risk. Yikes, it seems like there is more animal attacks and incidents going on out there than I expected…and I haven’t even talked about shark attacks! Cougars are in the news again and just how true some of them are is left to your imagination. Take the issue of Kevin Lassite the hiker who claimed to pet wild cougar cubs when he was stopped by the mad mama mountain lion–who rightly took a swipe at him. Do you wonder why they have the Darwin Awards? Anyway, officials are not buying the claim about the cougar incident but as usual we shall have to see how this plays out if it is a false claim of a mountain lion incident Kevin Lassite will be prosecuted. BTW: This sign is near the Whiting Ranch Wilderness Park where the cougar cubs and their mom incident allegedly took place. A scratch is not an attack–a warning maybe. The Whiting Ranch Wilderness Park is also where Anne Hjelle was attacked by a mountain lion. Over in Colorado the cougars seem to be a problem this week. This puma (another name for mountain lion) killed a deer in a suburban driveway. I just hate when they get possessive over their prey. The cool thing is that they live trapped that mountain lion and have the mountain lion video on YouTube–don’t fret the animal is tranquilized. In Wyoming the Game & Fish Department guys didn’t have much luck catching the cougar they darted. Hopefully the cat recovered and will stay away from the more urban areas based on the experience. Now some of you know that I live in an area where we have a part-time urban cougar. 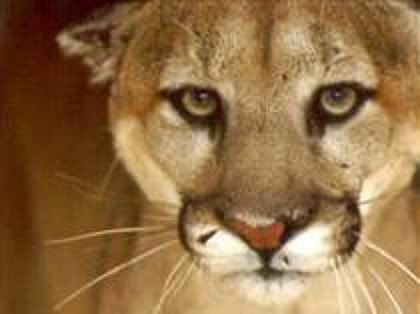 Usually the mountain lion moves in closer in September–read my mountain lion musings and eight cougar safety tips here. Now back to the bears…there was another black bear attack–this time in Coquitlam, British Columbia. The woman was gardening when she was attacked. Neighbors came to her aid and everyone was pretty lucky considering…here is an update with photos and videos of the black bear involved in the attack. What I find disturbing is that the people didn’t think that the bear was a threat. They seem to ignore the fact that it is a wild animal–and a large one. One of the things that attracts wild animals to urban areas are the resources–food and water–both of which were available in this instance. In my area people complain about the bears coming down to their yards and getting in their trash but they continue to leave those resources out. So, after reading the animal attack posts this week I am curious to learn what questions or comments you may have. Please take a moment to leave them below. Does this flurry of activity mean that you’re feeling better? Hopefully you’ll be kayaking soon! How does an animal interpret a human encounter? For example the driveway cougar… Did he think “hey, this is a great spot to find deer” or maybe “yikes, that meal was way too risky” or something else? Did he associate houses and pavement with humans, deer, or just the specific encounter? 🙂 Hi Andrew, still up and down but I have had some time and energy to blog…so I have. Eventually, I’d like to get back to posting five times a week but at the moment hope for three. Urban wildlife encounters happen because of resources. So, those nice green lawns and gardens (along with bird baths or other water sources) attract wildlife such as rabbits and deer–regular prey for cougars. Once you feed the prey animals, the predators follow. Locally those that feed the birds find that rattlesnakes come for the snake smorgasbord provided by those who feed the birds and attract rodents (mice, squirrels, etc) providing an abundant food source for the snakes. Urban animals (or those on the borders) acclimate to the new surroundings. Most are opportunists and so take advantage of the situation. This particular cougar had been collared previously so it was being monitored–not sure why. One of the theories is that younger cats are moving into independence and move into urban areas as they seek territories and since they are being driven out by older established animals in normal habitat. I suspect this means they get the less desirable areas adjacent to development and being inexperienced (or curious) they don’t steer clear of humans. In the past it used to be older, sick, or injured animals that would pose problems so this is an interesting development.